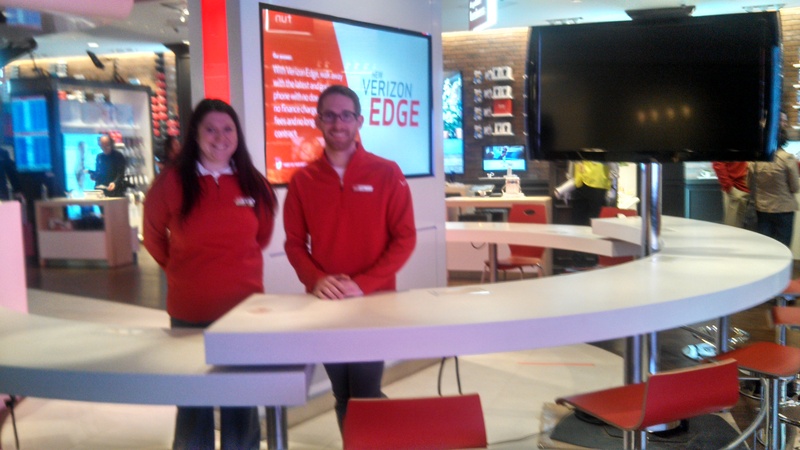 Shareology got a sneak peek at the new Verizon Destination Store at the Mall of America, near the old Bloomies on 2nd floor South. Check out the great store front! 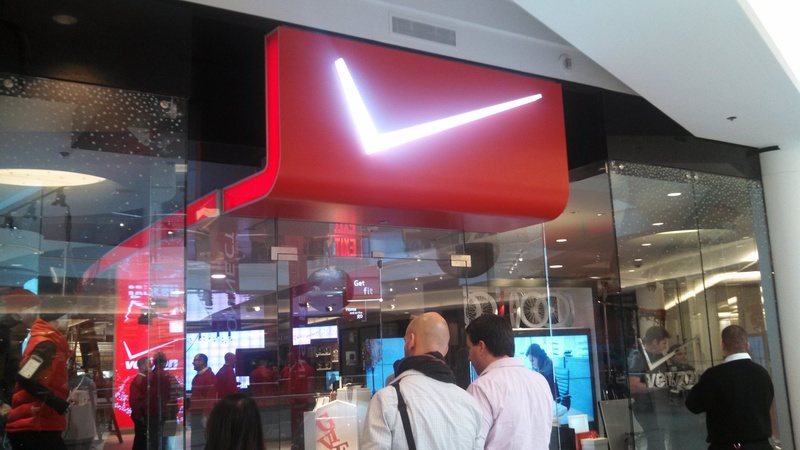 9,715 square feet makes it 7 times as big as the previous Verizon MOA store! This new Destination Store format is the very first; next one opens in Chicago in 2014. Marni Walden, EVP and COO of Verizon Wireless welcomed us to the store, the first ever of this new format. Check out the shoes Dorothy would have worn if she worked for Verizon! One of the things I had complained about in the old store format was that there was nowhere to sit down; that problem has been beautifully solved! 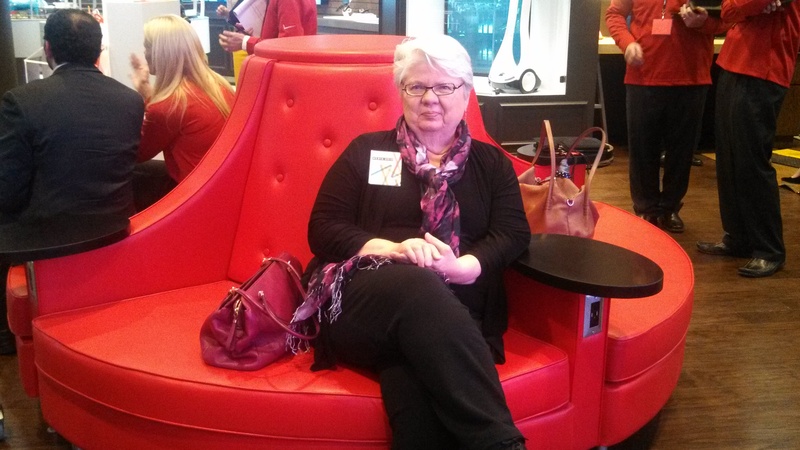 I made a point to thank Sarah Christy, Solution Manager, for the great new seating and well-designed store. Sarah was there when I bought my Droid Razr Maxx, when I strongly noted that there was no seating in the previous store. I’m guessing the average purchase takes 30 minutes while they set up your phone; nice to now have a place to sit for a bit. Overall, I’d say this new store fits in between Apple and Microsoft; I think you’ll find a much broader selection at Verizon, though. The store has a grand opening celebration this evening, November 20, 7 – 9:30 pm, with the first full day November 21! Check it out at Mall of America, S280! Wow Kay…that is indeed a large store. Seating is a great idea – most of the cell phone stores do not have adequate or comfortable seating for the lengthy process. And is that a wine bar or are they planning to offer classes?